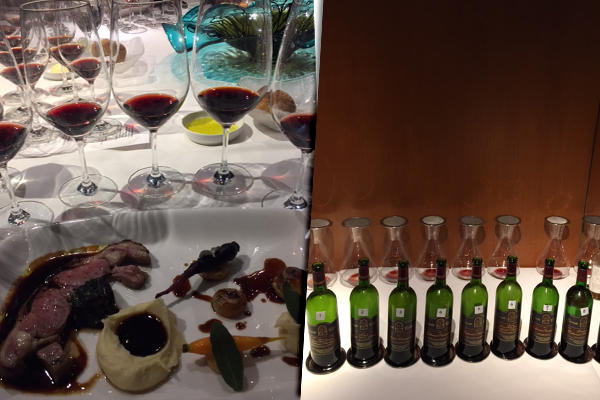 Last month long time IWFS Vancouver Branch member David Spurrell orchestrated a memorable blind tasting dinner at Blue Water Café of 9 red wines. The lucky 8 knowledgeable participants did an admirable job of identifying the line-up as 9 different years from a dominant cabernet sauvignon variety with oak influence of style uniformity showing some cool Bordeaux-like fruit but perhaps less elegant plus more New World California ripeness without the alcohol. We failed to nail it exactly but of course these comments are so appropriate to describe the unique magnificent reds from Leonetti Cellar the first commercial winery in Walla Walla, Washington. Their website is outstanding with details on their passion, vineyards & wines including their interesting history dating back to the Leonetti farm established in 1906 followed by the winery founding in 1977 (now celebrating 40 years) by Gary & Nancy Figgins with a vision to produce small amounts of the best cabernets and merlots. Remember well the days of no tasting room and needing to be on their mailing list to get invited to their exciting annual tasting. They certainly reached and have exceeded their initial goals. In 1990 they made their first meritage wine blend. This true family wine estate team continues with Chris Figgins now president & winemaking director. 1. 1989 Reserve “Seven Hills” Walla Walla Cabernet Sauvignon 13 degrees alcohol. Their website only goes back to 1994 wines with no information available on this one. Highly acclaimed on release. Shows now still a deep rich colour with a lighter brown rim with lovely mature impressive notes of complex cinnamon. Easy softening herbal notes less tannins and quite elegant. Drinking well. 2. 1992 Select Walla Walla red table wine 50 merlot, 40 cabernet sauvignon, and 10 cabernet franc spending 22 months in 70% French oak & 30% American at 13 degrees produced 1100 cases. Northwest Wines Pocket Guide 2nd edition 1996 notes that CS “massive without a blemish can be deeper and denser than the Merlot in a year such as 1992.” They describe this wine “is a stunning success: seamless, elegant, and strong, with marvellous velvety richness running all the way through a long, focussed finish.” 20 years later it has developed well and was most open almost Burgundian-like sweet bouquet with the palest colour most aged look of all the wines. Enjoy now and drink up. 3. 1993 Columbia Valley Cabernet Sauvignon 83CS 9M 8CF with 22 months in mixed new oak 13 degrees produced 2500 cases. Darkest of first flight with an excellent bright red look. Good fruit young vibrant with a slightly drier finish of more cab sauv in this blend that is on a lovely plateau for current drinking. 4. 1994 Columbia Valley Cabernet Sauvignon 80CS 12M 8CF again 22 months mixed oaks American, French & Oregon 13 degrees 2500 cases bought for $45. Website has extensive details. 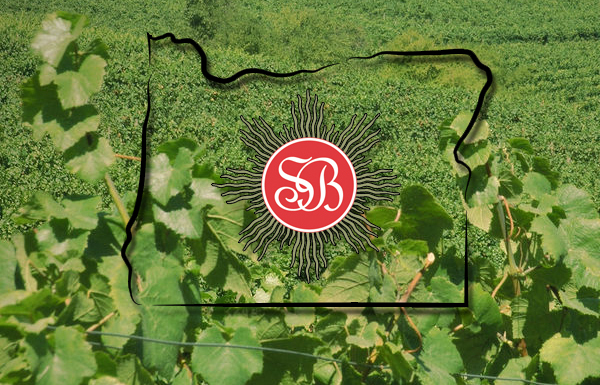 Average Brix 23.5 with vineyards blended from Seven Hills & Pepper Bridge in Walla Walla, Sagemoor & Conner-Lee in Columbia and Portteus in Yakima. Like the note that “Wines produced from rich , ripe vintages taste good from the beginning and continue to improve throughout their aging period”. Says enjoy through 2015 but still going strong with some purple tones with massive good very floral fruit. Yes. 5. 1995 Columbia Valley Cabernet Sauvignon 85CS 7 M 8CF similar vineyards and Hungarian added to the oak mix 13 degrees 1961 cases “Enjoy now” Brix 23.06. Shows lighter rim than 1994 and most mature of second flight of three. Shows less herbs mixed into the deep rich fruit. Nice. 6. 1996 Reserve Walla Walla Cabernet Sauvignon 95% Seven Hills-Old Block, 4% Spring Valley 1% Leonetti Estate 86.5CS 8.6M 1.3 CF & 3.6PV 420 cases 13 degrees. “A very deep darkly colored wine…exotic aromas of spices and sweet black fruits of cassis and blackberries.. loaded with gobs of wood influenced vanillin. A big rich chewy wine with the kind of density that can only be accomplished with very low yields…full bodied powerful fruity finish. A great aging future.” Good comments that describe this treasure even today. More red colour left plus wonderful oak complexity from these Leonetti oak masters. Like the plump plummy excellent fruit here. Well done indeed. 7. 1997 Columbia Valley Cabernet Sauvignon 86.1CS 6.7CF 3.3PV 3.9M Oak has Pennsylvanian replacing American in the mix 2200 cases with all three wines in this last flight now up to 13.7. “Very dark cassis mint leather and cedar shavings. This elegantly styled balanced wine is rich soft complex and extremely long finish of fruit and oak spice and fine-grained tannins. A compelling Leonetti Cabernet Sauvignon from a great vintage.” Dark with cool balanced herbal fruit at 20 years of age. Seemed younger tasted blind. More noticeable oak in this last flight of three. No heat on the finish. Still vibrant with layers of fruit. 8. 1998 Walla Walla Reserve Cabernet Sauvignon note 100% Walla Walla Valley Vineyards in the Reserve again producing 75CS 12.5M 12.5 M (no cab franc) only 576 cases. “Winemakers dream perfect conditions. Yields naturally low wines incredible intensity color and fruit ultra rich … likely be remembered as one of the finest Leonetti’s produced to date.” To this scribe it was lighter colour like 1992 & 1995 but shows more dimensions and not coarse tannins for such a big wine. Distinct terroir shows much better. Impressive integrated smooth ripe tannins. Great winemaking with the oak use and tannin management. 9. 1999 Walla Walla Cabernet Sauvignon 89.5CS 8.4M 2.1PV 2329 cases $60/bottle stating “enjoy now through 2020”. First non-Reserve Cab to carry Walla Walla Valley appellation (rather than broader Columbia Valley used previously) due to expanded estate vineyards plantings of Seven Hills & Mill Creek Upland. “Broodingly dark wine with a wonderful nose of chocolate, mint, cassis, cola, and vanillin. The concentrated mouth feel is dominated by black fruits and the wines bright acidity and fine-grained tannins are in perfect balance, backed up with a tremendous finish.” This was the darkest of all and showing very well. No edges no alcohol burn with excellent balance. Acidity fresh and lovely with no malic issues of some 1999 reds in British Columbia. Drinkable but still a baby. Like the unique style. Really establishing Walla Walla on the quality wine map with these last three vintages. Outstanding match with roasted lamb saddle dish. This one will go beyond 2020 easily! 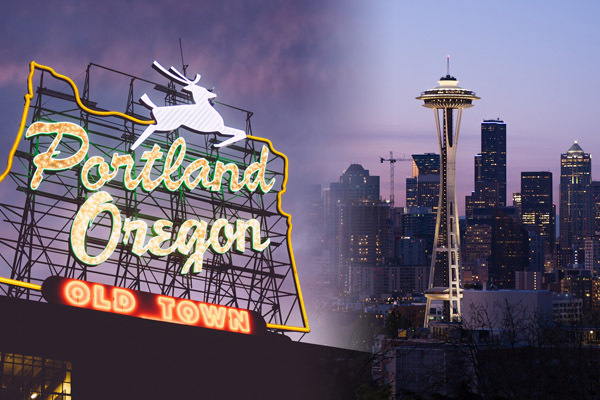 Have you tried some Washington wines? Thanks David for this educational tasting. Seek out some of the new Leonetti releases and other small production treasures from Walla Walla! 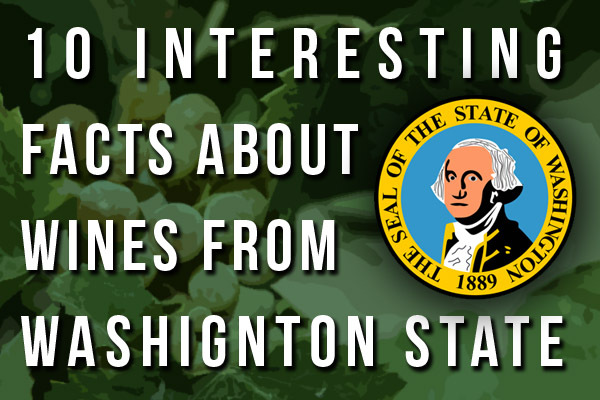 Have you tried some Washington wines?